Epithet means "spear-shaped" or "lance-shaped." Evergreen, 1 to 1V2 ft. (30 to 45 cm).Zones 6 to 9. Slender fronds of Cyrtomium lonchitoides in the Gassner Bold large "leaves" on Cyrtomium macrophyllum. narrowly lanceolate blades are lined with 8 to 10 pairs of dull, but not yellow-green, basally rounded serrate pinnae. Netted veins are clearly visible. Sori with peltate indusia dust the fronds' undersides. range and habitat: No information is currently available about the natural site preferences of this interesting dwarf species. It is endemic to China. 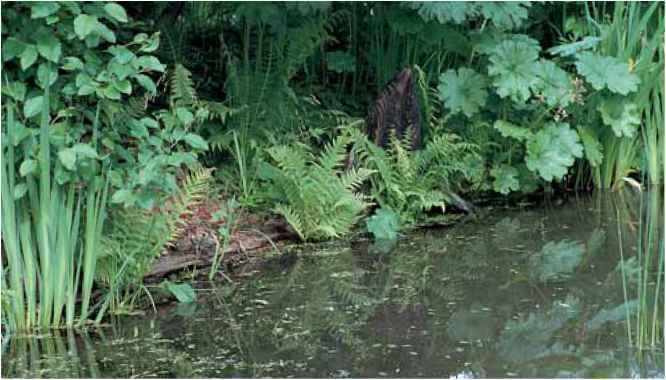 culture and comments: This species adapts readily to woodland habitats and, with its small stature, is an attractive foreground feature mixed among perennials in shaded beds. Give it full shade and friable moist soil. Cyrtomium macrophyllum Large-leaved holly fern Epithet means "large-leaved." Evergreen, 1 to 2 ft. (30 to 60 cm). Zones 6 to 10. Apogamous. description: The rhizome is erect, producing a frugal rosette of unfernlike, portly pinnae on 1- to 2-ft. (30- to 60-cm) fronds. The grooved, green stipes, with translucent coffee-colored scales, are one-third to one-half the length of the frond. Lanceolate blades are once-pinnate with broad pinnae shaped more like tree leaves than fern trimmings. Four to eight pairs of pinnae surround a large (macro) terminal pinna that is twice-eared (biauriculate) with an outline that reminds me of the tulips I drew in elementary school (some time back). Pinnae are attached to the rachis as substantial, broad-based, 2-in. (5-cm) pads and remain rounded until terminating abruptly in a short, but noticeable pencil-thin whip tip. Foliage is a pale, matte green with netted and conspicuous veins. Sori with peltate indusia are distributed on the lower surface of the frond and appear as pinheads or minute dots on the upper surface. range and habitat: Flora of Japan (Iwatsuki et al. 1995) reports that the species grows in "dense gloomy forests." With its pale green mats of foliar lightness, perhaps this is nature's way of brightening the gloom. it is also found in the Himalayas and China. culture and comments: Other than in size, this species is somewhat similar to C. caryotideum but differs in having conspicuous venation, nonserrate margins, and large nonauricled lateral pinnae. Both settle comfortably into the shaded glens of woodland gardens and appropriate forest floor soil. With its nontraditional foliar outline and matte lettuce-green-colored fronds, it is a welcome evergreen contrast in beds of frilly and dark foliage. Var. tukusicola, from Japan and China, though rarely available, has wedge- rather than round-based pinnae and indusia with a dark brown-black center rather than a uniformly gray-white indusia. 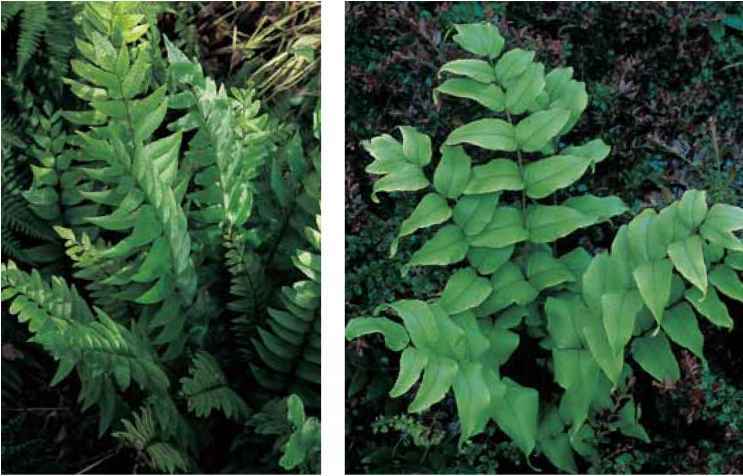 This variety has made fleeting appearances in the catalogs of U.S. fern specialists, but no confirmed sightings yet. (As of this writing, it is being imported from China.) Like the species, from which it barely differs, it should be a welcome addition to collections in Zones 6 to 10.